Though its name may give you the impression that Majestic Slots Casino only offer slot machine, it does actually have a wide variety of games on offer to players who access it through their browsers, download the casino or play on their mobile phones. While the casino does excel in terms of slots, offering players just about every Realtime Gaming slot currently available on the market, Majestic Slots is also proud to offer its players a good variety of table games, specialty games and video poker too. Majestic Slots is not well known for offering more exotic games, but players who are keen to try pai gow poker or keno would be well served by visiting this casino. The list of games is also expanding on a daily basis, so players who sign up should visit the casino daily to see what new games have been launched. In terms of bonuses, Majestic Slots distinguishes itself as a casino accepting rand (ZAR) by offering players who make their deposits bonuses that are valid on all the games. Add to this low wagering requirements, and SA players will know that this is a casino that truly wants their business. Supporting that is the excellent customer service where questions in regards to bonuses, games and more can be answered quickly. There’s also an in-house security department and a finance department that deal with customer queries. Finally, the casino is also glad to offer players the fastest withdrawals in the industry as well as a multitude of withdrawal options to make cashing out easier. Majestic Slots Casino offers new guests a welcome surprise with a number of welcome packages that will make it easier for you to play in general, to play the slots and to play on mobile. The welcome bonus consists of 100% up to R6,000 + 100% Insurance. Players have the chance to play their favourite games for a chance to win real money and a bonus. The person who makes it to the top of the leaderboard will be granted a R15 000 bonus just for playing. Players can also get bonuses just for being on the leaderboard with a R10 000 bonus to the player who comes in second, R7 000 bonus for third, R4 500 bonus for fourth place and so on. All players have to do is play to earn loyalty points. The more points you earn, the more you’ll climb. The rewards never seem to stop at Majestic Slots and besides being able to play for a chance to top the leaderboard, you can also get comp points that translate into cash whenever you play. For every bet of R10 you place, you’ll get a comp point. Redeem 3 000 comp points for R30 and if you play the game of the month, you’ll even get to double your points. Additionally, you can move through the casino’s loyalty tiers as you play, which means you’ll get access to even more special promotions and bonuses. On Thursdays, Majestic Slots gives players 20% cashback for any games played on a Wednesday, which means more money back into your account to spend on getting the jackpots. South African players that sign up through this site have an extra R100 to play on Majestic Slots Casino magnificent games use the code: PC100. Making payments and requesting withdrawals can be one of the trickiest parts of playing at a casino accepting rand (ZAR), but this is certainly not the case at Majestic Slots. Deposits and cashouts are really easy and can be processed in a number of ways, including debit and credit cards which are quick and easy to register, and totally secure with the casino’s encryption software. Additionally, players can make payments using Neteller, which allows them to fund their accounts with no need for a credit card an EcoPayz which provides instant payment solutions anywhere in the world. Note that there are minimum deposit and withdrawal limits, so be sure to check those before making your deposit or notifying the casino of a withdrawal. Majestic Slots offers telephonic support for players in South Africa, which is something many international casinos don’t do, but with their toll-free number, you can get in touch to correct any problems you may be having, ask any questions or comment on the games, bonuses or casino functionality. Players who prefer to email can do so while live chat functionality is also available. The mobile casino is ideal for anyone using an Android, iOS or Windows device. Whether you own a smartphone or a tablet, you can take Majestic Slots with you anywhere and play it any time. In addition, Majestic slots offers players a unique R50 bonus when they use the mobile casino, which means in addition to the welcome bonus, you’ll have a lot of extra money to play with and access to many of the same games you would find on the desktop casino. Majestic Slots is great with keeping up with the times and understands that players don’t just want the same thing over and over again. This is why it keeps up to date with the latest games created with new technology and offering players more than what they expect. These include video poker machines that allow players to test their luck, baccarat tables that challenge players’ strategies and of course, the casino’s speciality, slot games. There are other games on offer too and players who enjoy craps, roulette and blackjack will not be disappointed. The name of the game, Paydirt, probably comes from the time of the Goldrush in California when prospectors had to literally sift through dirt in order to find their gold. In this game, you won’t need to worry about getting your clothes dirty but there is a lot of moolah to be made for finding the right symbols. It offers 25 paylines and a number of symbols to get excited about, especially the gold nugget, which is the wild. Find this wild symbol, and you’ll enjoy a little animation as well as a triple payout when the symbol is used to complete a winning combo. The game’s logo, which is the scatter, is also an animated one and you’ll enjoy how the unimpressed looking gopher pushes it onto the screen. What you’ll enjoy more though is the impressive payouts this symbol will give you, or up to 200 times your bet. You’ll also be able to use this symbol to access the bonus game, or should we say bonus games. There are three, Gold Rush, Gold Fever and Strike It Lucky, and each of them has even more free spins to offer than the last. The goal? To get you the awesome 10 000 fixed jackpot or the massive progressive jackpot which is randomly triggered and can be won at any time. The Greek mythological character, Achilles, was well known as one of the greatest heroes of his time and he had just one weakness, a weakness from which the popular phrase “Achilles heel” stems. However, in this 20 payline game, it is not his weaknesses you’ll be focused on, but rather how many wagers it will take for him to reveal his big payouts to you, as he is the wild. The city of Troy acts as the scatter and finding five of these could give you a payout of 500 times what you originally wagered. 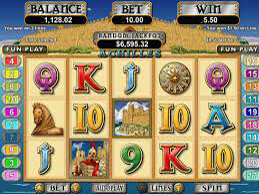 Achilles is the wild and he will do the best he can to complete winning combinations for you and multiply your wins. 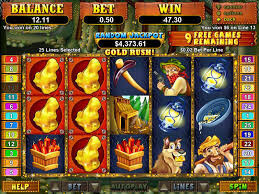 The game also has special features such as up to 25 free spins in which all of the scatters change into wilds and the progressive jackpot which can randomly triggered at any time by any player. This is a game that is well thought out and has quickly become one of the fan favourites at the casino, with players from all over the world flocking to its reels for a chance at the huge progressive jackpot. Majestic Slots is a fun and funky casino that specialises in slot machines, but is able to offer players all kinds of games. Players will be very impressed with the bonuses and promotions and this may be one of the only South African online casinos that offers players a bonus just for trying out the mobile casino. For those who want a casino experience that is a little different from the norm, give Majestic Slots a try.